What’s the difference? What’s better? What should I use? These are common questions, and they are good ones, as every fertilizer technician, lawn company, and industry professional or expert has a different opinion and preference. The debate can be overwhelming. The reason to use one type over the other can be based on cost, storage, equipment, or results. We’d like to share some of our research, testing, and discussions with industry professional and experts as to why Omaha Organics prefers the results gained from using granular products not liquid. The most common advantage plugged for using liquid products is its ability to be quickly absorbed by the plant. Quick absorption means nutrients are immediately available. This can be beneficial when plants and turf need a quick boost. This results in instant gratification. Liquids provide short term rapid results for quick green up. A granular product contains nutrients in a solid form that will need to be dissolved or decomposed into the soil before the nutrients results can be seen. This requires moisture, time, and some patience. Liquids can also be easier for the applicator to apply, no need to push 60 lbs. of fertilizer up and down the slopes in a yard, load and unload 50 lbs. bags all day, or make several trips back to the truck to fill the spreader again, which also adds to labor costs. Liquid fertilizers can be cheaper too because (1) lawn care companies can mix a huge quantity of solution at a time to use on all their customers on a given day, (2) less storage space is required, and (3) less manpower is involved in transporting the product from manufacturer, to shop, to trucks, and then to the customer. Sounds great, right? Cheap, easy, instant results! Well, not so fast. Let’s explore some of the science and biology that goes into healthy soil. The majority of a liquid application is applied to and absorbed by the leafy portion of the plant, this means less nutrients are reaching the soil, therefore there are fewer beneficial nutrient changes actually occurring in the soil to sustain the grass root for the future. Liquids provide little to no organic matter to the long term soil structure, they do not improve the soil structure, or the soil’s ability to hold onto nutrients and moisture. Liquids also do not promote the growth of microbial life in the soil or the growth of native mycorrhizae populations the way that granular organics do. Soil is a living, breathing element. It’s a losing (and costly) battle to continuously treat what’s on the top of soil without amending the soil underneath. If you nurture the soil, it will repay you with a nutrient rich source for whatever you are planting in it to thrive. Everyone’s soil is different, which is why Omaha Organics recommends a soil test at the start of every new fertilizer program. After all, you wouldn’t medicate yourself without a proper diagnosis, right? Omaha Organics offers a variety of granular fertilizers and soil amendments that are tailored just for your soil. We adjust and modify the products we use on each and every yard based on the soil, environmental conditions, and the homeowner’s desired outcome. For instance, some products would not be suitable for a shady area, we can easily adjust. We would not be able to achieve this with liquid products since they are mixed in bulk, and applied to each and every yard on the applicator’s route. This is very efficient and cheap for the applicator, but are you really getting what your soil needs? While often cheaper per application, liquid nutrients typically last one to two weeks, requiring more frequent application to maintain that instant green look between applications. Why we like the science behind granular? The slow release nature of granular products means that nutrients can be dispersed from one to nine months, depending on the product. This requires less frequent application. Four applications of a granular product are typically all that is needed to feed your soil throughout the entire year. Slow release granulars are better for feeding lawns that are suffering from heat stress and dry weather. Turf is less likely to burn when it is fed slowly. Granular products are typically easy to see before they dissolve, so you know your lawn has been treated. 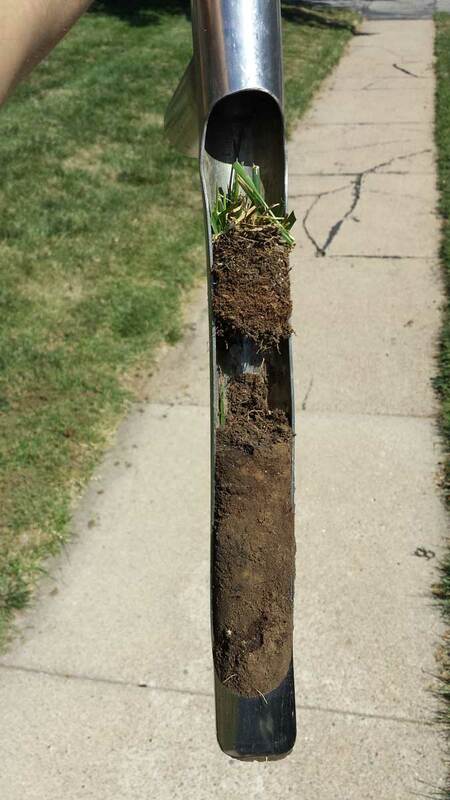 Soil tests show that granular products start adding organic matter to the soil with the first application. Liquids usually only contain the 3 major nutrients (the exception would be something like compost tea) while most organic fertilizers contain lots of micro nutrients as well. Alfalfa has 16 nutrients that occur naturally. Ever walk outside and smell that not so sweet scent of weed spray in the air? Yep, that’s your neighbor down the block weed spray product drifting away, and leaving residue on every lawn, tree, tricycle, window, and garden on the block. Who knows what’s in that concoction anyway? Liquids mixed in tanks at a shop are only labeled on the concentrated bottle when purchased. Once mixed you don’t know if the products were mixed correctly or what else it’s mixed with while granular product bags have a label on each bag for the customer to visibly see exactly what is being applied. Liquid products that have been diluted from concentrate can easily be mixed wrong which in the long run can provide an inconsistency with products since they rely on human technique. If you’re wondering what’s in that liquid, ask! State and federal law require all products labels to be present with the products being applied. If an applicator hesitates to provide this information to you, this should be a red flag. Liquids can be both transparent and messy. Even for the sharpest of eyes, it’s hard to see where a liquid product has been applied even during application. A liquid application leaves behind little or no evidence that a product has been applied evenly, or even at all. Most customers find comfort in seeing some granules in their yard, so they can see for themselves that product has been applied to the whole property. No shortcuts! Some applicators add a dye to liquids, so the applicator knows where product has been applied, and as evidence to the customer that product has been applied. Without a dye, no one can really be sure where product has been applied. Dyes can stain, or leave turf looking an unnatural color until they dye fades off. Potential dangers to lawn and environment? Another reason liquids require frequent applications is because liquids have a higher risk of burn potential, so smaller amounts of fertilizer are used in them. It is also possible that overuse of sprays will leave residues on plant leaves that can form salts which will burn or damage the plant. Liquid products that are alive have to be used or they are wasted which is not good for the environment while granular product can be stored until used. Some liquids products are alive or have microbes and can die within 24 hours if not used, left in the sun, or not watered in properly while granular are good for years if keep in a cool dry location. Liquids can be as easily washed off as they are applied on, so heavy rain or irrigation can wash the product off. Bad for the environment and your wallet. Lastly, liquid products can be more difficult to apply as a DIY program because of the time and specification needed in mixing or diluting the product properly, mixing the right amount of product for the area to be treated, the time sensitivity of the product, and the special equipment needed (spray tanks, hoses, rubber boots). Anyone can easily apply a granular with a spreader. Omaha Organics goal on any yard is to build the soil, promote better soil structure, and nourish soil life, so whatever is planted in that soil can thrive. 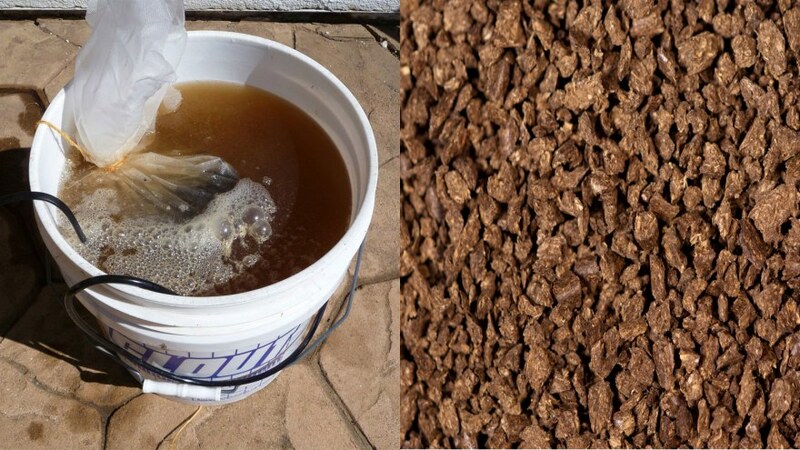 Although, there are beneficial uses for liquid fertilizers, in our experience, the results we’ve gotten with granulars far outweigh any benefit of a liquid only program. class="post-template-default single single-post postid-1010 single-format-standard samba_theme samba_left_nav samba_left_align samba_responsive wpb-js-composer js-comp-ver-5.0 vc_responsive"